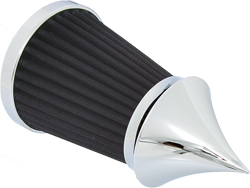 The filter flame cover is a simple dress up accessories offered to give your WCC exposed air cleaner an enhanced look. 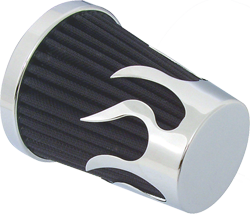 The flame pattern is sure to add a little extra style and will complement other flame themed accessory on your motorcycle. 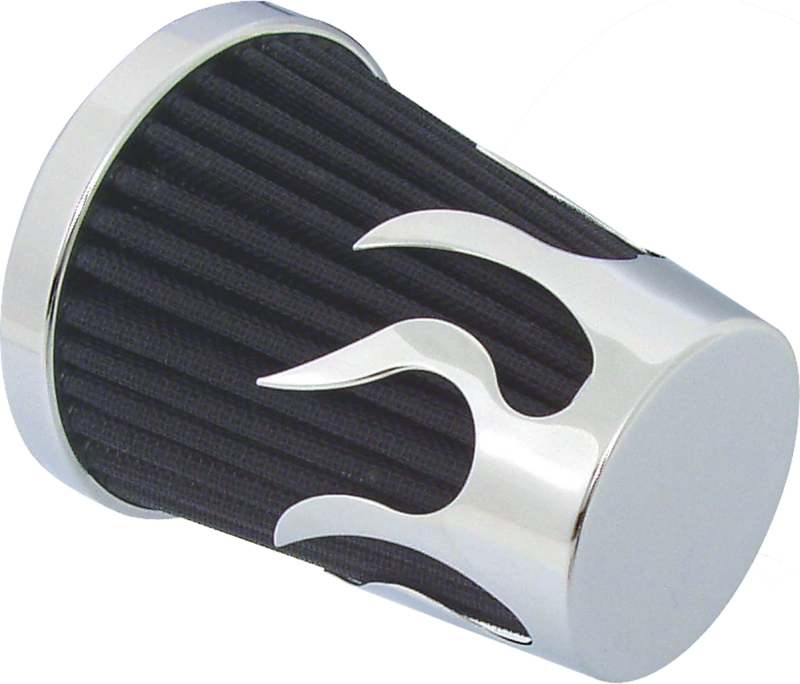 Filter Flame Cover fits Standard and Super filters, only. Will NOT fit Super Squatty filters.